The motor industry can be a funny place at times. Six months ago I popped over to Italy to drive a new Fiat but spent more time in presentations or on a bus than I did behind the wheel of their car. Cynically, I did immediately wonder why that was. Did they have something to hide? Was it really not ready for driving yet? Perhaps it’s just wasn’t very good. I waited until it arrived in the UK before I made my final judgement. 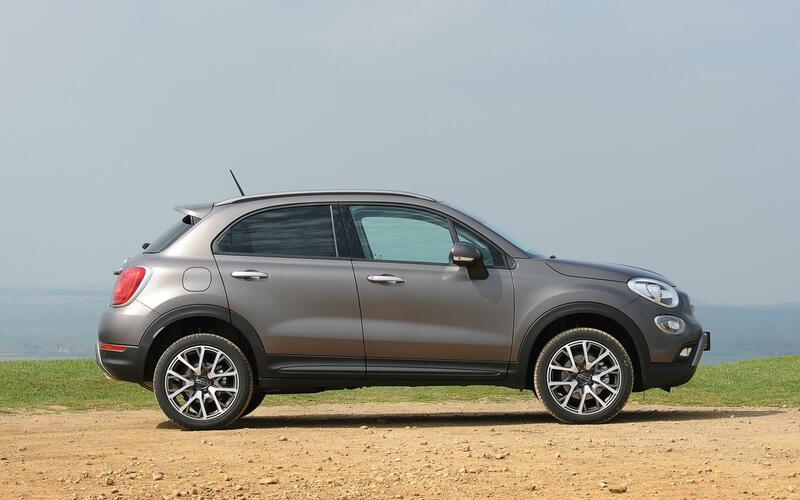 The car in question is the Fiat 500X. 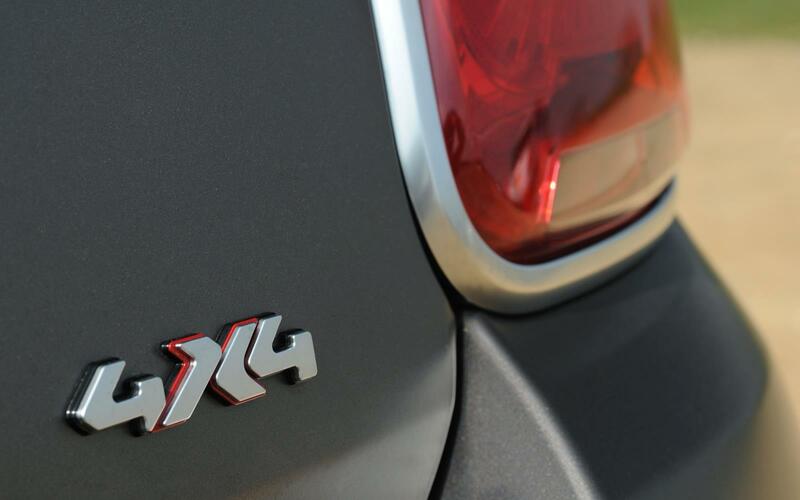 This is Fiat stretching the 500 name yet further and moving the range in to the compact crossover market. 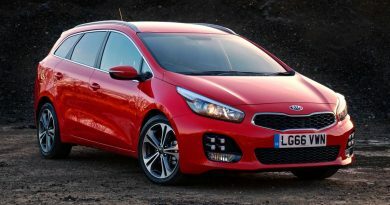 That means it’s up against the likes of the Jeep Renegade (with which it shares a lot of its underpinnings) as well as the Renault Captur, Nissan Juke and Peugeot 2008. Small SUVs like these can look a tad awkward (I’m looking at you, Nissan Juke,) especially in photographs, but when you see them up close and personal it all makes sense. The 500X is one of those cars. In the photographs on this page it looks perhaps a little overweight, a bit bulbous, but once you stand in front of it, it all becomes clear. The scaling up of the cutesy 500 style works well, the 500X ending up looking both quite tough and surprisingly friendly. Inside it’s much the same, with bold curves abound and a blade of body-coloured metal running across the cabin. 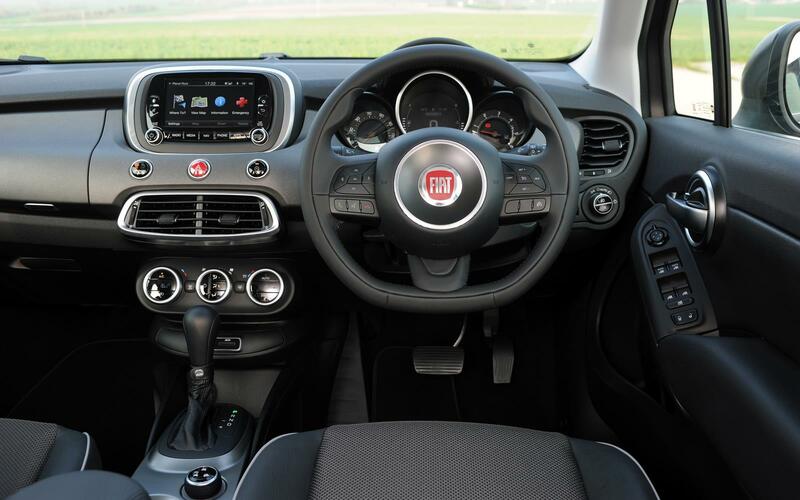 It’s full of character, and as high quality as you’ve any right to expect, certainly higher than you might expect from Fiat. An infotainment screen in the centre jars a little with the retro-inspired interior, but the 5-inch screen is easy to use, as is the satellite navigation – it’s just a shame the routing decisions were a little suspect at times. 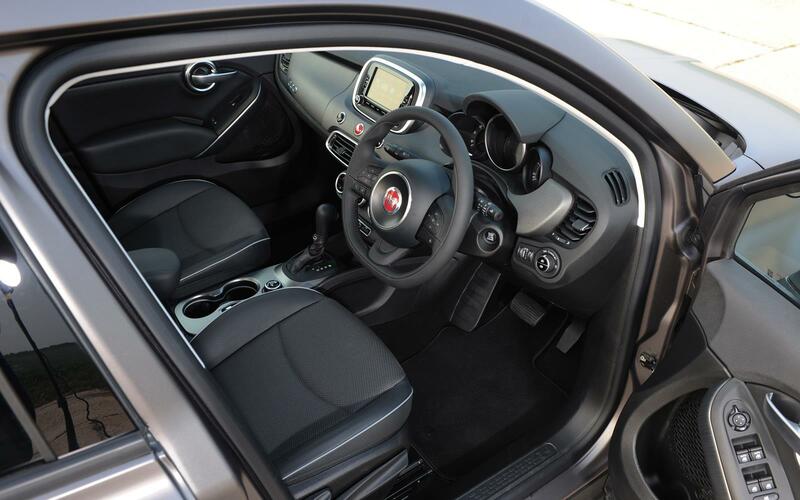 There is plenty of space in the 500X, with the driving position being slightly elevated thanks to its Jeep origins. There is also plenty of head and shoulder room up front, and rear passengers are looked after well, too. The rear seats are a possibly tad flat, but they fold down to leave a flat floor in the boot so there has to be some compromise. There are also plenty of places to store your goodies in the cabin, with huge door pockets swallowing up anything you’re likely to throw at them. 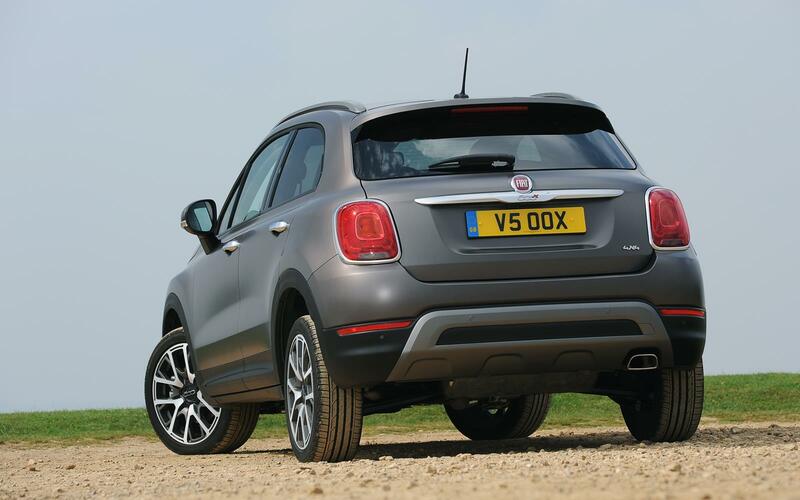 The boot is slightly smaller than its rivals, but that probably won’t worry too many as the 500X is partly a case of style over function. 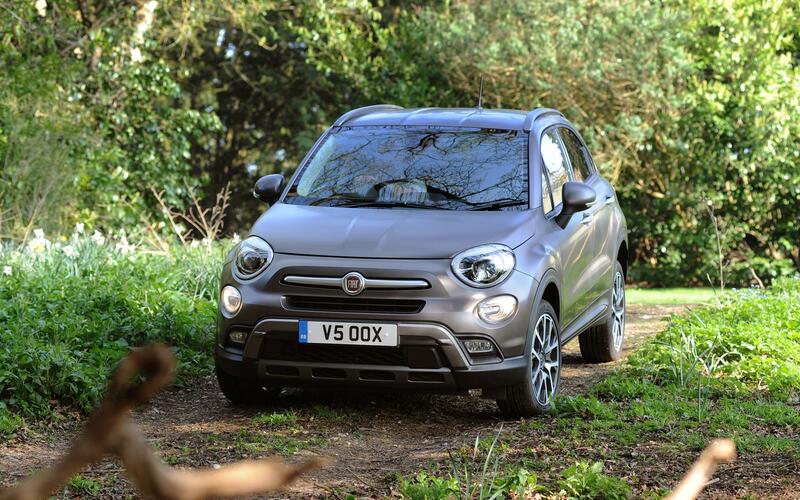 Sharing some parts with a Jeep would suggest that the 500X will be able to tackle terrain somewhat farther from the tarmac than most, and there’s some truth in that. 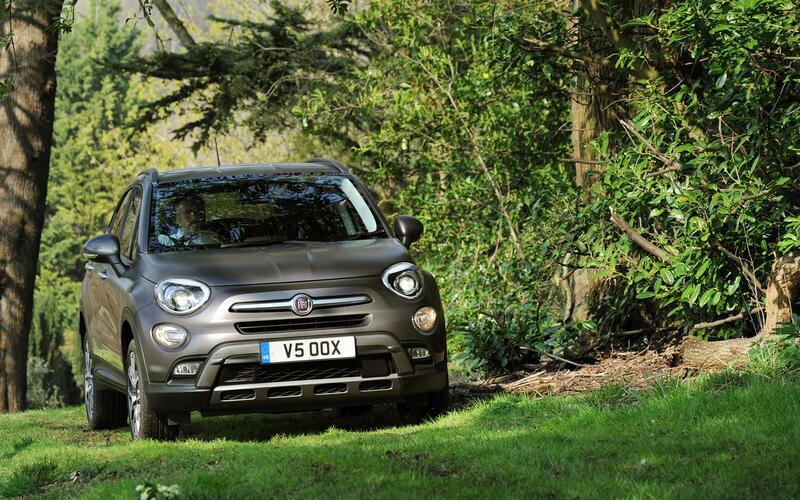 Available in a four-wheel drive variant tagged Cross Plus, you’ll have no trouble crossing a damp field and forest paths, although clambering up the Eiger will prove too much. 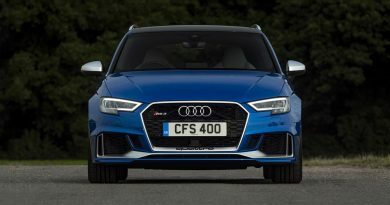 Front-wheel drive will be the choice for most buyers though, and that’s available in Cross spec – this keeps the tough-guy plastic cladding and skid plates of the Cross Plus – and the less aggressively named Pop, Pop Star and Lounge specs. 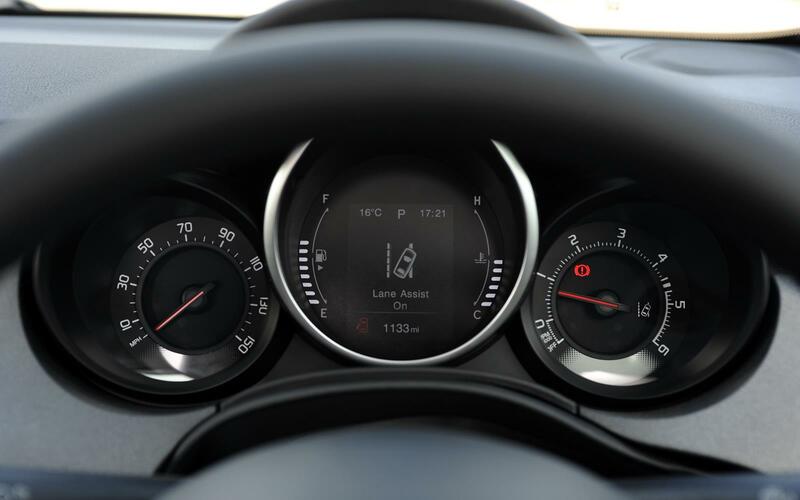 There are two petrol and two diesel engines available in the range, although the top-spec 2.0-litre diesel comes only with four-wheel drive and, inexplicably, a nine-speed automatic gearbox. 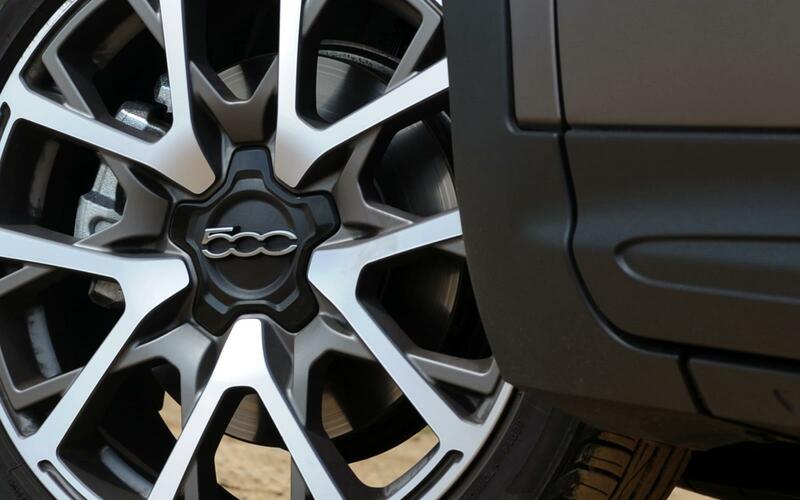 The sweet spot in the range is the 1.6-litre diesel powered front-wheel drive model. 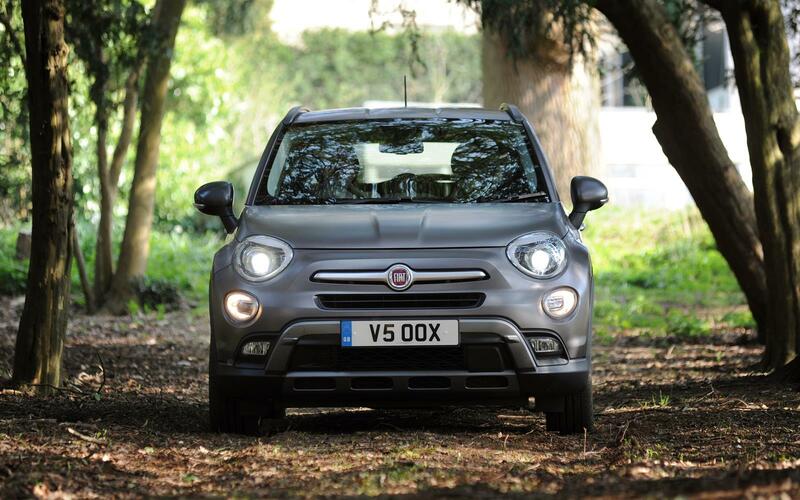 The 118bhp provided by the engine is enough to get the 500X to 62mph in just over 10 seconds, with most of the power available between 2,000 and 4,000 revs – this makes the car exceptionally easy to drive, with large torque reserves meaning there is less gear changing than you might expect. The engine is pretty quiet too, although the road noise can become a little overwhelming at times. Those noisy tyres hold on well though, with the car remaining neutrally balanced and resisting understeer, the stability control wizardry gently stepping in when necessary. 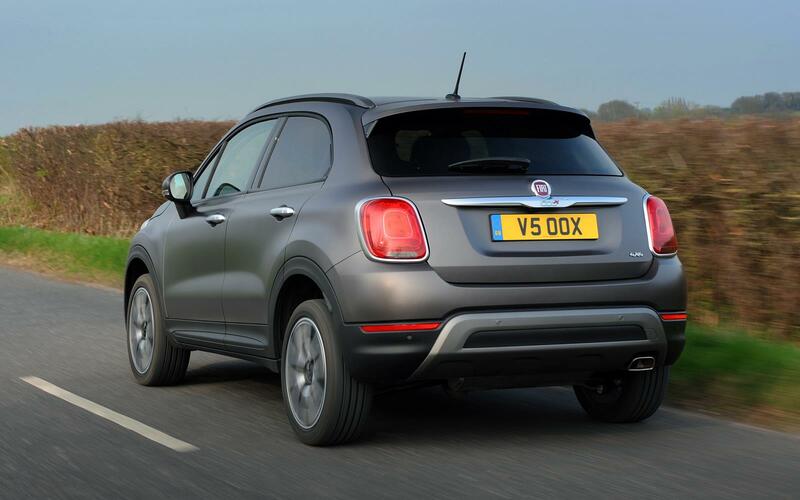 Official figures promise that the 500X will return 69.9mpg, although those figures are always a tad optimistic. 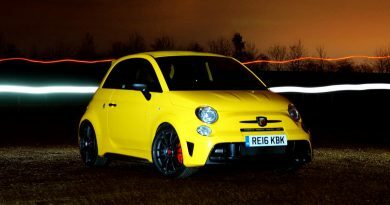 That said, decent economy will be possible if the 48mpg I got during a rather enthusiastic test is anything to go by. Low CO2 emissions of 109g/km mean that you’ll be paying just £20 a year in car tax, while business drivers will have a BIK burden of just 19%. 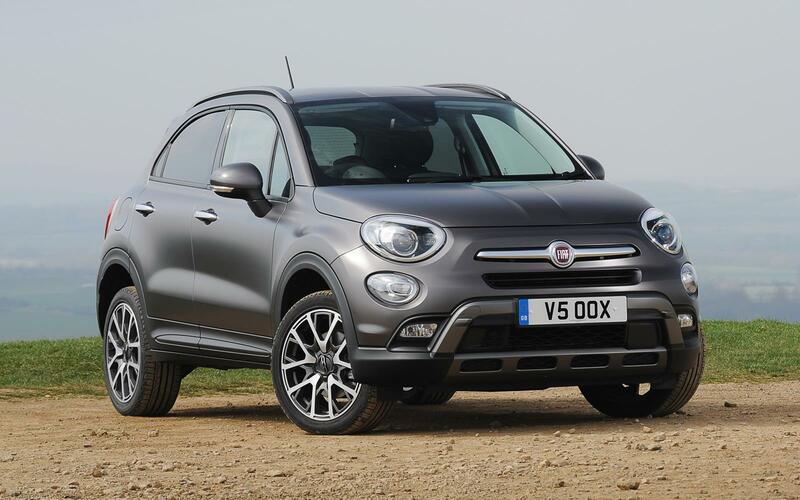 Having driven the 500X at length in the UK now, was I right to be so cynical following the original Italian launch? 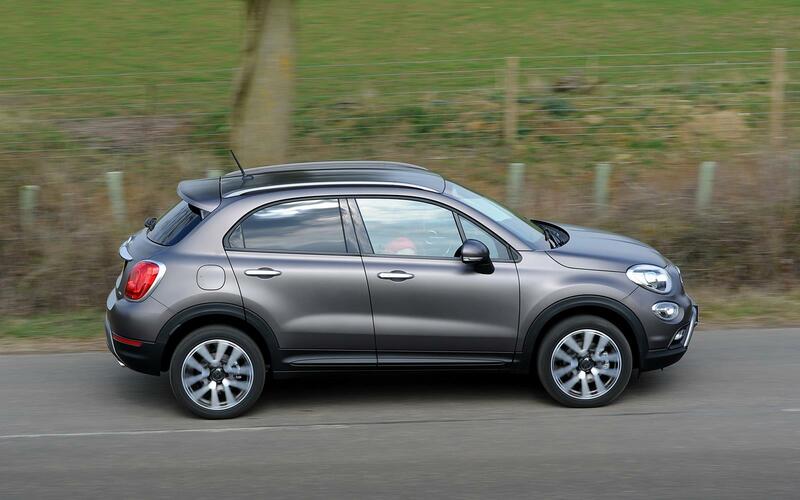 Fiat has come up with a something that brings together the magic of the 500 with the practicality of an SUV, and judged that balance almost perfectly. It remains youthful in essence, while also being mature in its outlook, with plenty of space for your family and all their needs. 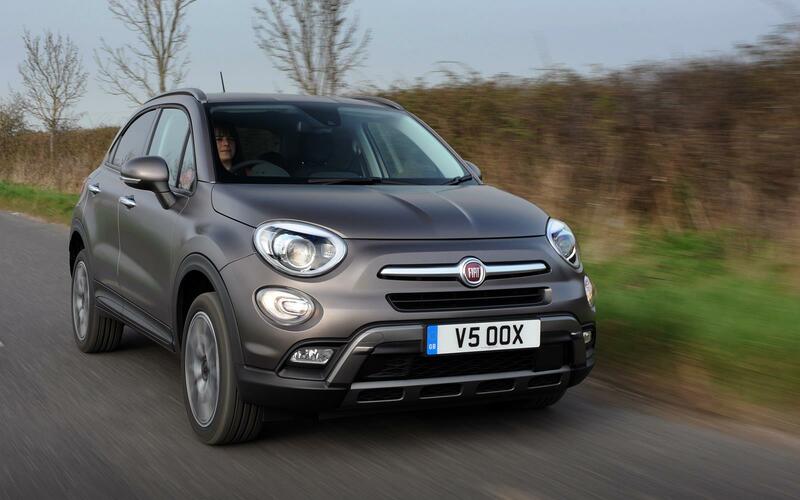 The Fiat 500X ends up being a more compelling choice than the Nissan Juke or Peugeot 2008 (despite costing a little more than both) and nearly as good as the Mini Countryman (which it costs somewhat less than). 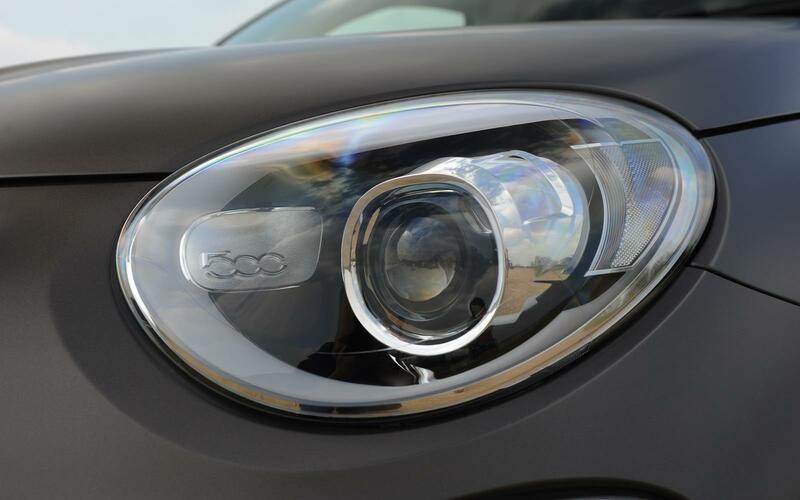 Given that, the 500X really should get some of your attention.